Energy prices have been rising steadily this year, with all of the Big Six energy firms pushing up their prices at least once for customers with a standard variable tariff. The Government’s long-awaited energy price cap, which comes into effect in January, is supposed to help these customers. However, it has already faced criticism and many experts say there are other ways you can make a bigger difference to your bills. Here are four of the easiest ways to cut down your costs. There are now more than 70 different energy firms to choose from so you don’t have to stick with the Big Six suppliers, which are often the most expensive. If you haven’t switched in a while you’re probably overpaying, as energy firms do not reward loyalty, and there have been several price rises over the past few years. 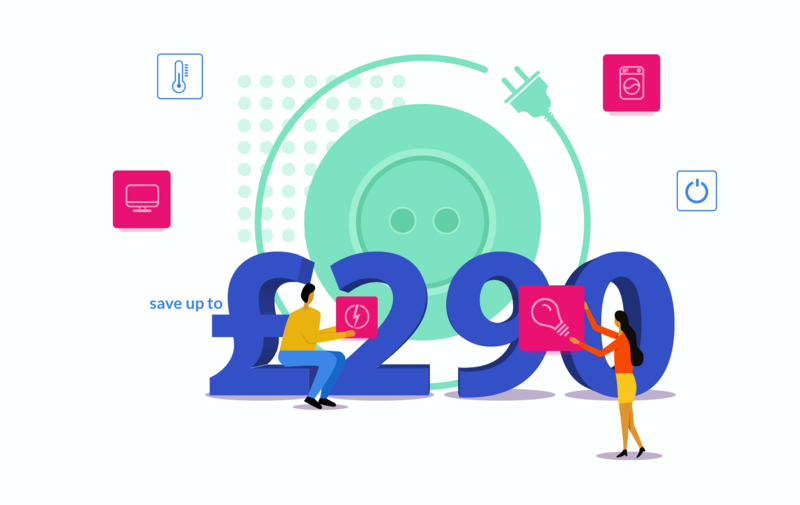 In fact, switching could save you £290 on average and only takes 10 minutes, according to the comparison website uSwitch.com. A comparison website is the easiest way to do this, as all it takes is a few details from you and then you’ll be given a list of prices and firms to choose from. Although the biggest savings around usually found by switching energy firms, it might be possible to save even if you stay with the same provider. This is because suppliers offer different tariffs, at different prices, and those which are called ‘fixed-term tariffs’ are generally cheaper than standard variable tariffs. This is because the price you pay per unit of energy is fixed for the period of the tariff, usually 12 months. Exit penalties, which can apply if you leave a fixed tariff early, are usually waived if you’re remaining with the same company. The less energy you use, the lower your bills will be. Lowering your thermostat, for example, by just one degree could save you £75 per year, according to the Energy Saving Trust. Putting on extra layers and only using the heating when you really need it will help, such as setting it to come on for a few hours a day rather than leaving it on around the clock. Making sure appliances aren’t left on standby, can cut £30 off your annual energy bill, while turning off unused lights will knock off a further £15. Renters have the right to switch their energy firm if they want to. This is because whoever pays the energy bill is allowed to choose the company they pay. If you are a renter and a landlord or estate agent tries to tell you this isn’t the case, you can contact a free charity such as Citizens Advice for more advice. The only case whereby you might not be able to switch is if moving to a different firm would cause a structural change to the property. This could happen if the energy meter was moved, or a new one was installed, but on the whole this is pretty rare and if it is the case you’ll need to check with the property owner first.